I own a great tendency to apply the lighttpd around what I use, because I find it lighter and faster than anyone else. Joking! Just compile! When it speaks, Granny in the corner already crawled. But it is easy, do not be afraid! Grandma calls to learn too! 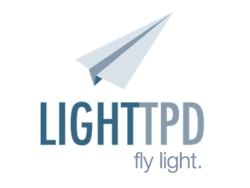 First of all, visit the lighttpd ( http://lighttpd.net ), on the part of downloads Get the latest version. At the time of this post the latest version is 1.4.31. If you have a newer version on the site, and the procedure does not work, Grandma says to not cry, talk to me, that we solve! Much of al things, could be removed. But I believe that’s just the basics.